I am currently working on a new header image, but progress is slow. I hope to have it done by the weekend, but that might be an ambisious estimate. 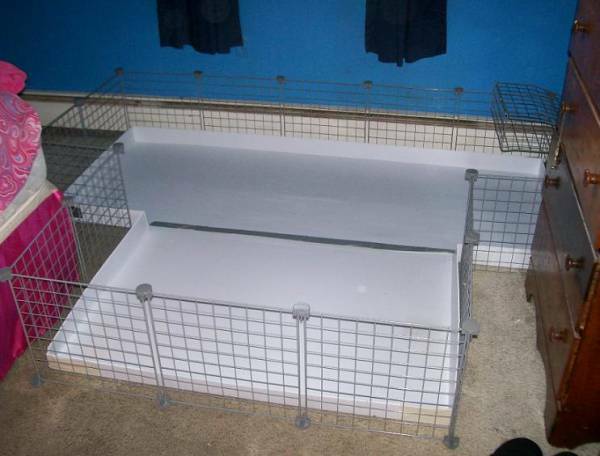 This site explains everything you need to know about guinea pig cages. 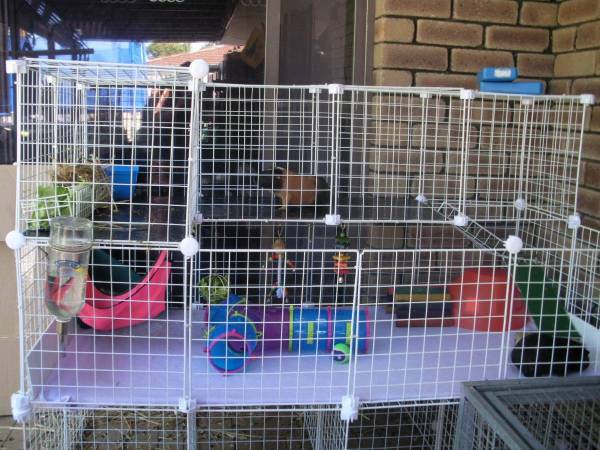 Standard pet store cages are quite small and offer very little space. Solving this problem is quite simple, the site shows an economical ways to build your pet a much larger environment in which to live and play. 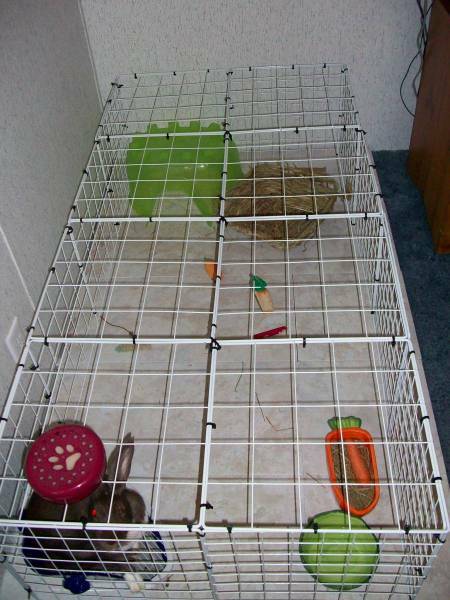 A bigger enviroment allows guineas to get more exercise and stimulation. 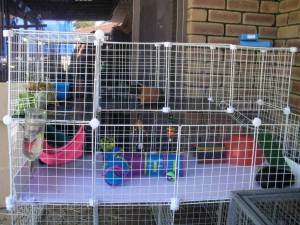 The is a size guide for cages (relative to the number of guineas involved), information on materials, how to make a cage, how to clean them, pictures, a forum, and much more. These really are amazing and I hope to make something wonderful for the next guinea pig that I get. An animal that has to spend a ton of time in a cage deserves to have adequate space to run around in and play.